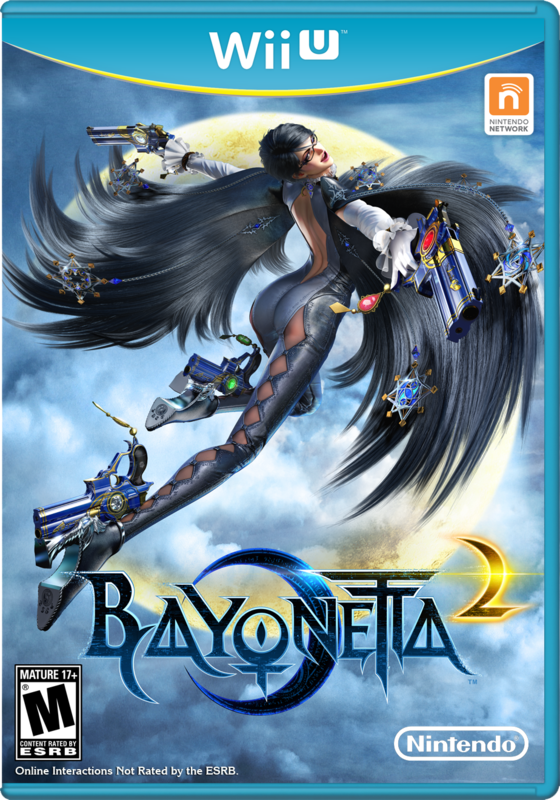 The video game world was turned upside down on September 13, 2012 when Nintendo announced that a sequel to the cult classic Bayonetta was in development; exclusively for the Wii U by Platinum Games. Almost immediately, dedicated fans voiced their concerns on social media; crying foul regarding exclusivity. The previous title was never released on a Nintendo platform, only on the Xbox 360 and PlayStation 3. In an interview, Executive Director, Atsushi Inaba of Platinum Games explained that Sega was the publisher of Bayonetta, but due to financial difficulties Sega had to scale back on the number of titles it published; thus could not fund or publish Bayonetta 2. It was the partnership between Nintendo and Platinum Games for The Wonderful 101 that got the two companies talking. If it wasn't for Nintendo’s funding and publishing, Bayonetta 2 would have never been completed. Bayonetta is regarded one of the greatest action titles of all time, sharing similarities between Capcom’s beloved Devil May Cry series making it a fan favourite worldwide. Everyone you loved from the first Bayonetta has return for the sequel, but there are plenty of new faces as well. No need to worry if you did not play the first game, as physical editions of the game include the original Bayonetta on a separate disc, at no additional cost. Alternatively, the first game is also available on the Nintendo e-shop as a separate purchase from Bayonetta 2 if you decide to go the digital route. Although Bayonetta 2 tells its own story, to fully enjoy Bayonetta 2, and to have a complete understanding of the story, I recommend playing Bayonetta 1 first. 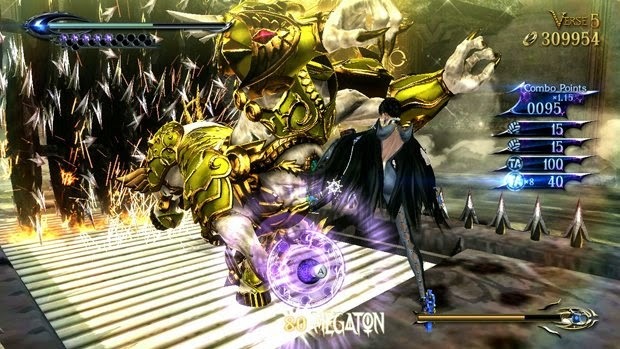 In Bayonetta 2, almost instantly you will recognize that Platinum Games unique storytelling from the first game is continued into the sequel. There is a mixture of exceptionally dramatic as well as light hearted over the top events. 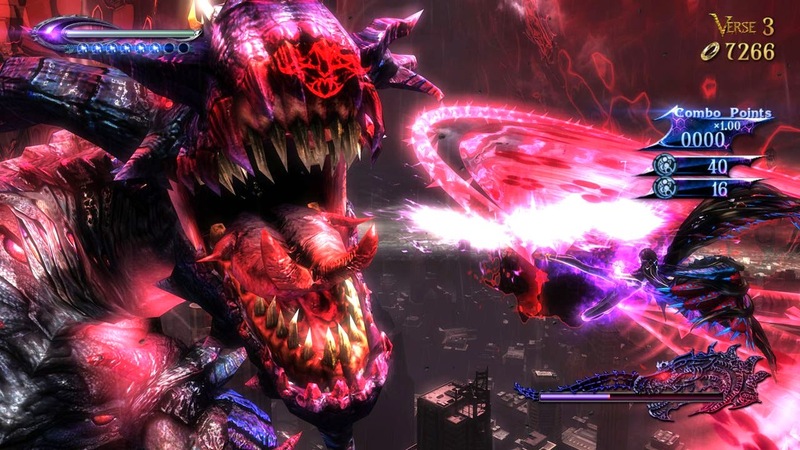 Bayonetta 2 offers a cut scene and gameplay sequence when first starting the game, followed by a Prologue which is a tutorial mission, then 16 story missions which the game refers to as chapters. 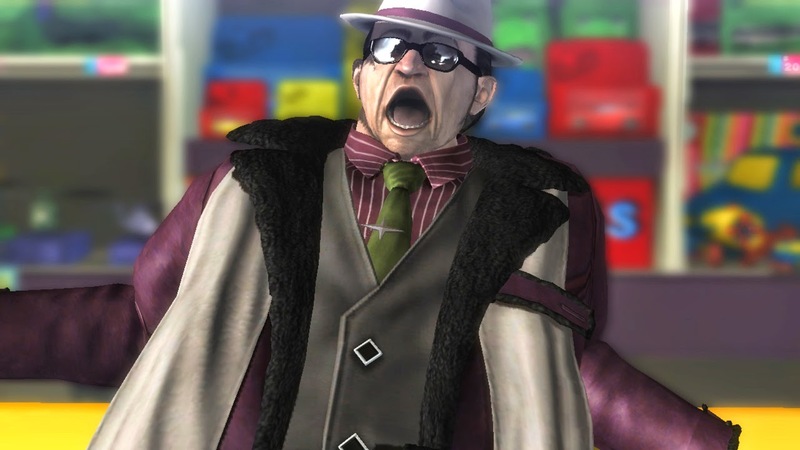 Several months after the first game, the holiday season is in full swing and your heroine, Bayonetta, is shopping in her Sunday dress with Enzo, her assistant who is Joe Pesci’s doppelganger. Bayonetta and Enzo meet up with Jeanne, Bayonetta’s former rival from the first game, and you find out they are now friends and allies. The leisurely day of shopping is soon interrupted when the evil angels hijack a plane. Bayonetta and Jeanne team up to take them out, and when it seems like the duo is about to defeat the demonic angles the satanic dragon Gomorrah escapes after being summoned and attacks Jeanne. Bayonetta is able to subdue the dragon but not before Jeanne’s soul is dragged to Inferno. Bayonetta vows to save Jeanne at any cost, and sets out to the Inferno. 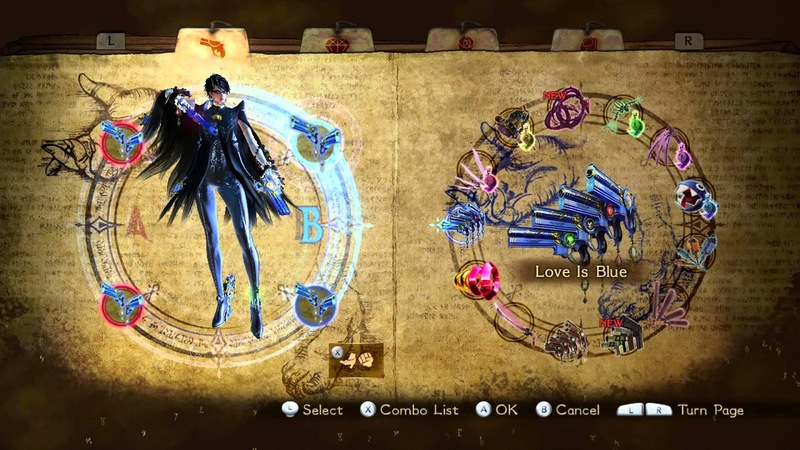 The story has Bayonetta meeting some old and familiar faces on her quest, while pulling you in deeper to the story and making a connection with the characters. Bayonetta 2 can be played with either the Wii U Pro Controller or the GamePad. The GamePad offers traditional controls and touch screen play mechanics in addition to off-screen play. Platinum Games keeps the combat system faithful to its predecessor, one button controls her hands while the other button controls her feet, making combos easy to perform and flow with great ease. Between stages Bayonetta is able to practice moves and combos while the next stage is loading thus giving the player an opportunity to fresh up on their skills. Weapons can be purchased using the in game currency known as halos, they are easily earned by defeating various foes. Weapons include poison bows, a variety of guns, and swords that can then equipped on each hand and foot separately. A second set of weapons can be equipped and switched to on the fly with a simple button press during battle. I found that all the weapons to be well balanced and compliment one another, allowing for endless combinations that can be made and customized. What would a game staring a witch be without magic? An important part of the game is the use of magic, to build up your magic gauge you must simultaneously perform combos and dodge enemy attacks. New to Bayonetta 2 is the Umbran Climax that can be used when your magic gauge is full. The Umbran Climax gives Bayonetta increased strength allowing her to deal heavy damage and combos to her enemies, even summoning demons for a brief period of time to help in the attack. Bayonetta can also perform Torture attacks with her magic that at times, can kill an enemy instantly. Witch time was introduced in the first Bayonetta and has been brought back for the sequel. Witch time is essentially bullet time, a term made popular by the film The Matrix and the game Max Payne. This is a slow motion effect allowing the player to dodge attacks, land additional attacks, and gain the upper hand. Witch time is essential in boss battles as it allows you to discover their weakness then exploit it. Techniques can be purchased using halos which allow for upgraded attacks against enemies. Before purchasing the techniques you are giving the opportunity to try out the technique. To perform a technique a series of movements and button combinations are required. These range from a simple to complex button combinations. A feature sorely missed on the Nintendo platform is a universal achievement or trophy system that Microsoft and Sony have. The developers of Bayonetta 2 recognized this and implemented a ranking system. Enemy encounters and boss fights are ranked based upon three categories: time to defeat all enemies, the length and duration of combos performed, and the amount of damaged taken during the battle. The rankings have no effect on the progression in the game, however they do open up a whole new level of challenge and excitement. Besides unlocking special items or secrets, these rankings actually improves how well you play the game which prepare you for the tougher boss battles you will encounter during the late stages of the game. Music and graphics are an important component of any game, the graphics and sound come together to create an interactive experience. Masami Ueda, the games music composer, has a long list of credits including the original Bayonetta, Devil May Cry, and Resident Evil series. 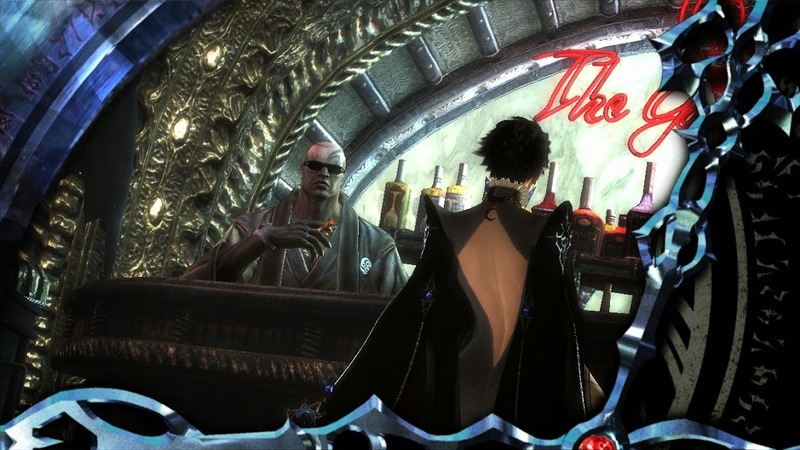 Bayonetta 2 features the classic Andy Williams song Moon River in both original form and a special remixed version for the game. Boss battles are epic, the music is energetic and dynamic, and totally immerses you in the battle and gets your blood pumping. The music has a very upbeat and J-Pop feel to it with over 183 tracks which complements the action on screen. The voice acting is professionally done and at times it can be downright comical. The environments of Bayonetta 2 are breathtaking to say the least, wither you are flying in the air, battling a monster, or riding in a mech the visuals never fail to impress. The presentation is top notch and just like every other Nintendo game, Bayonetta 2 is well polished over all. 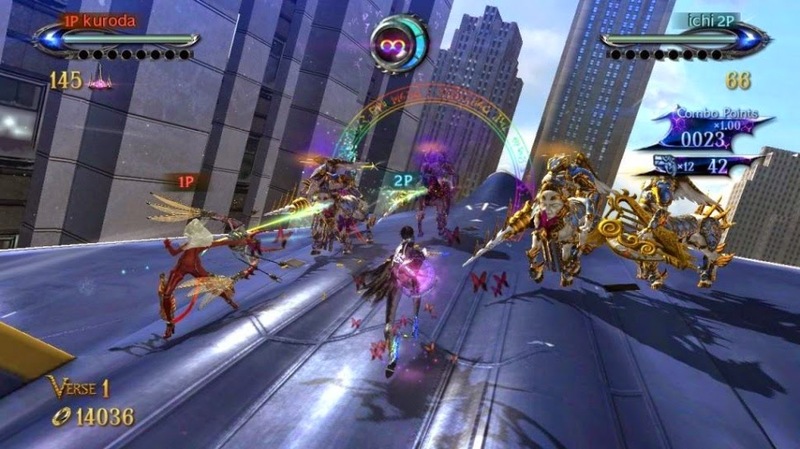 Bayonetta 2 offers a crisp colourful color scheme and visuals that maintain an amazing 60 frames per second which is outstanding considering all the action taking place on the screen and in the background. If you are looking for multiplayer then Bayonetta has you covered with a two player co-op mode called Tag Climax. Players are pitted in a series of 6 stages / challenges such as boss battles or fighting massive amounts of enemies. These challenges are played on stages shown on Verse Cards that are collected during the single player story mode. Players wager halos, the more that is wagered the harder and more rewarding the challenge becomes. Even though Tag Climax is a co-op mode the amount of halos you win will be determined by each players score adding a competitive element to this mode. Tag Climax allows you to play against friends locally, online opponents, or against the computer. Players also have a choice to play as other characters from the game such as Jeanne, and Rodin. Weapons, and abilities that were obtained and unlocked in story mode also carry over to Tag Climax. In addition the halos won in Tag Climax can be used to purchase more weapons and skills in story mode. Each character will have his or her own unique abilities and distinctive feel. After 20 hours of gaming with Bayonetta 2, I have enjoyed every minute of it. It is evident that Nintendo and Platinum Games put an incredible amount of detail and effort into making Bayonetta 2. With an amazing amount of content included such as new difficulties, miiverse functionality, hidden costumes, additional playable characters, and not to mention a copy of Bayonetta 1 that is loaded with Nintendo themed costumes. These alone make Bayonetta 2 an incredible value that most games would charge a premium in downloadable content. Bayonetta 2 is the definition of a near perfect game with beautiful graphics, enticing gameplay, an intriguing story, and an amazing amount content. Talk about disappointing. Who really won the poll?